Looking for an innovative attraction to bring in more clients? A unique recreational offer to set you apart? 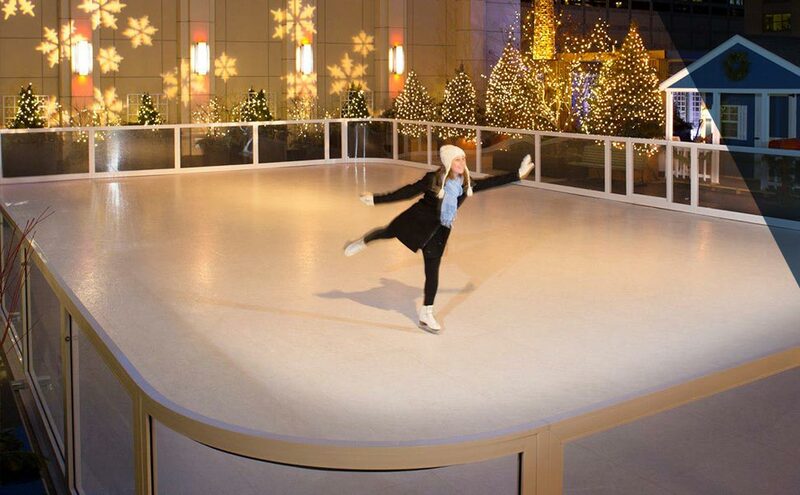 An Xtraice leisure ice rink is the perfect option to add extra recreation and fun to your center. Who would not want to take the whole family ice skating? Installing an ice rink in your mall is an excellent idea that will allow you to set yourself apart from the competition and attract new clients. The Xtraice rink will become a beacon bringing in major profits, since adults can shop calmly while youngsters have fun skating on the synthetic ice. Xtraice is a great choice for entertainment at your theme park. You can customize your synthetic ice rink to integrate it in your park, or even turn your entire park into a frozen fantasy world surrounding the rink. World-renowned theme parks like Disneyland Paris have already entrusted Xtraice to install their simulated ice rink. 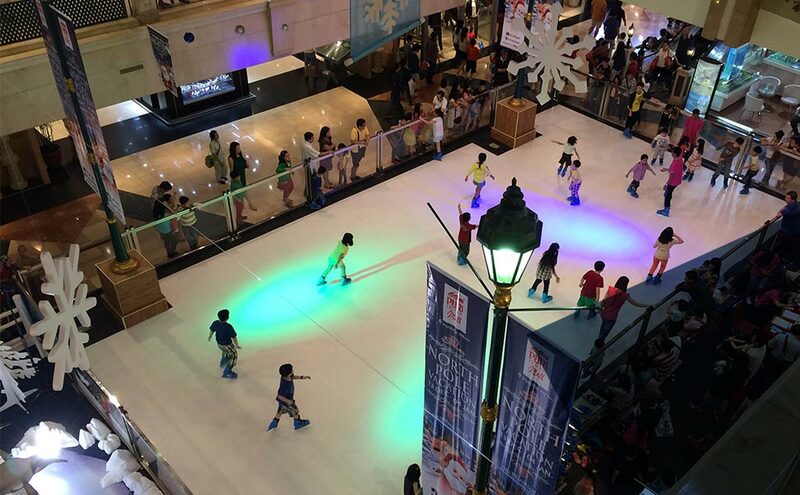 Enrich your range of leisure opportunities with an Xtraice synthetic ice rink. The youngest members of your family will enjoy ice skating without ice alongside the adults, without being afraid of falling on the ice and getting hurt. 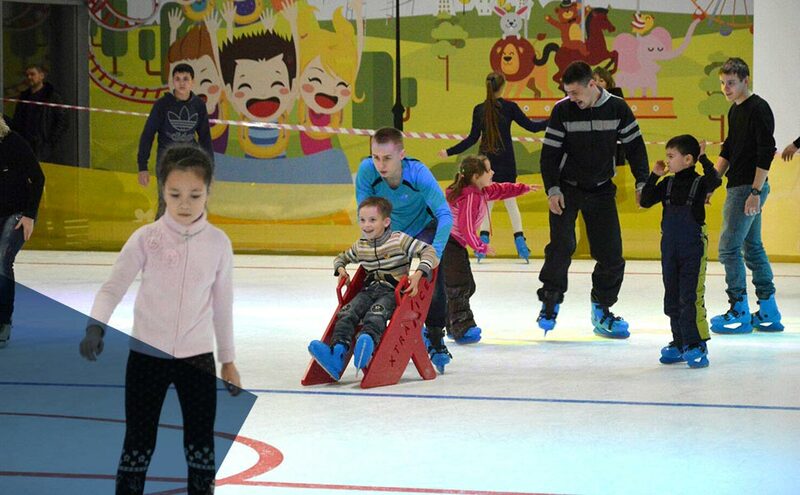 Xtraice is manufactured using a material that absorbs impact better than ice if children slip, making it the perfect solution for a family skating rink at leisure and entertainment centers. Are you thinking about diversifying activities at your bowling alley? Would you like to bring in more clients and offer a new leisure activity? 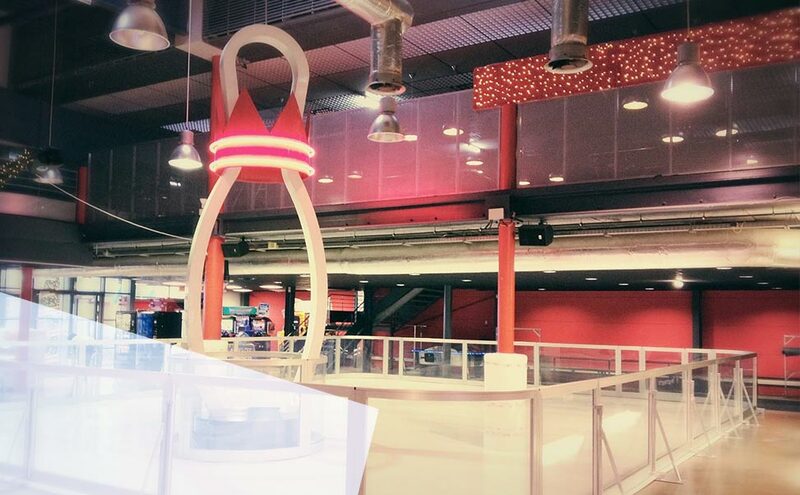 Ice skating and bowling is the ideal combination for a unique day of fun! Another of the most popular options for bowling alleys is our interactive curling. 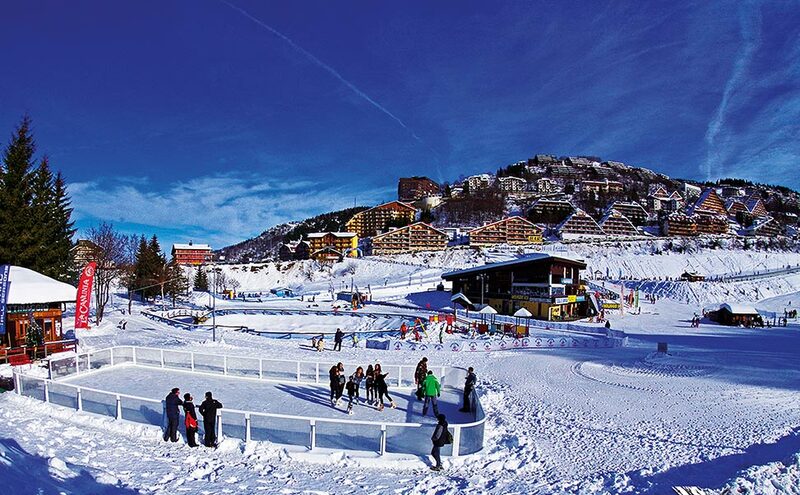 Are you looking for an alternative activity for your ski resort? Thinking of installing an attraction that allows you to remain open even when skiing is impossible? As an iceless ice skating rink, a synthetic ice rink can be used any day out of the year, regardless of the weather outside. It’s an activity that will set you apart! The most demanding clients are always on the lookout for excellence and innovation. 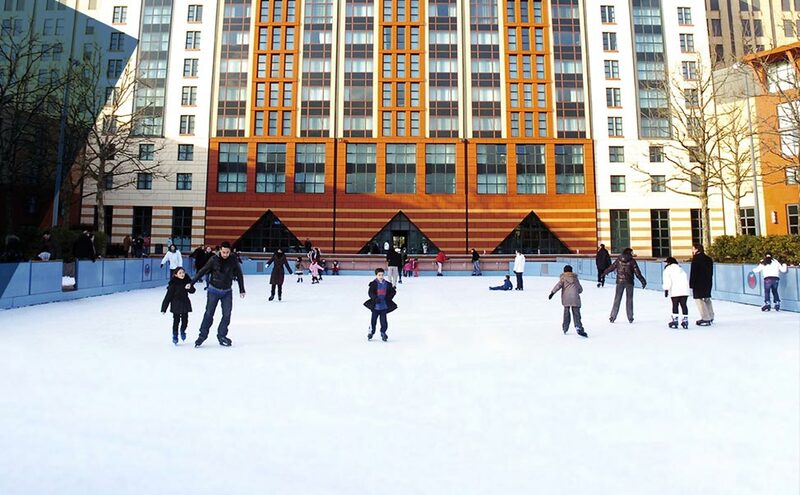 In this sense, installing an ice rink at your hotel will give it added value that your clients will love. The most important hotel chains at the global level like The Peninsula Hotels, Hilton and Conrad Hotels have already entrusted Xtraice. Will you be next?